UBRA BOATS. 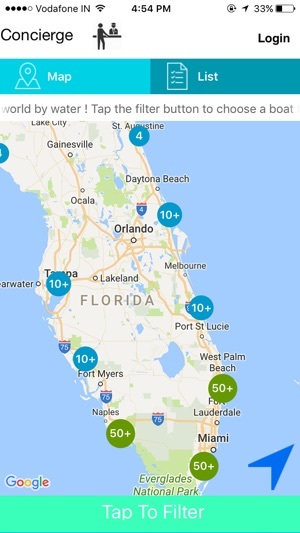 Now you can Be a Rider Not a Renter with our revolutionary On Demand Boating app. 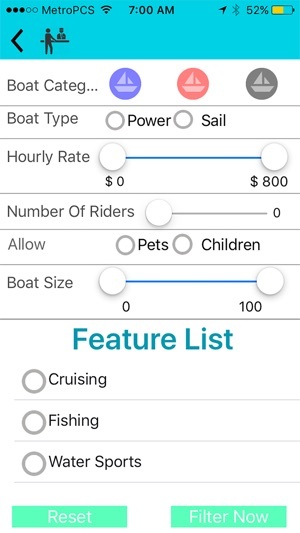 UBRA arranges Boat rides between our members through our Free mobile application. Riders Association, a water club dedicated to fun and safety. Have you ever dreamed of spending the day on the water ? This app is so useful !! 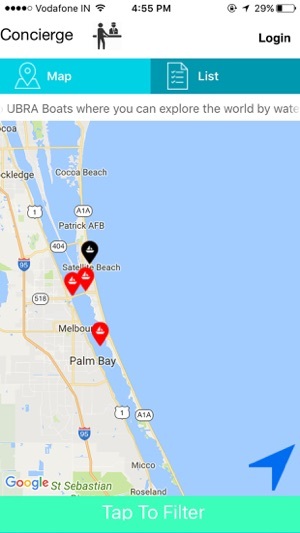 I downloaded this app after my friend recommended it to me as I was looking to go on a fishing trip on the coast of Florida . 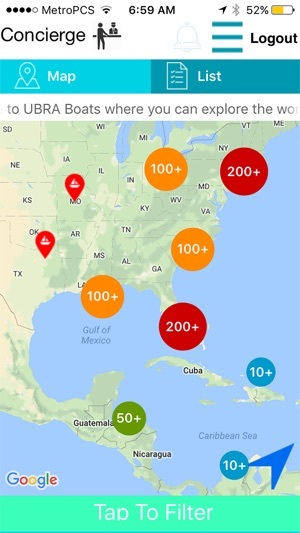 At first I couldn't see any boats whatsoever on the map but then noticed that my I had to share my location and suddenly 1000s of boats became visible. The simple but helpful interface helped me choose the perfect boat for me ( and it let me choose boats within my price point and what type of boat I needed)! 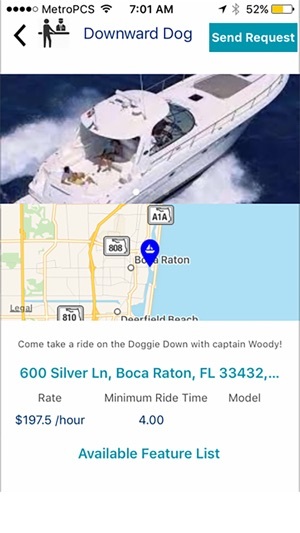 The app even let me request to attend the boat ride . All of this from just one app !! It's amazing . When the day arrived I found the boat where it was supposed to be and at the right time! Thank god I chose this boat because while fishing I caught the biggest fish I have ever caught in my life! This is all because of the UBRA Boats app. Definitely will use again in the future! I had a great experience, all the representatives I worked with, especially guys of UBRA Boats , were very professional and helpful. They walked me through every single step. The company picked up the boat and delivered it on the exact days they said they were. So there were no problems no delays and the payment was extremely easy and chaos-free. I would definitely transport a boat again through this company if needed.